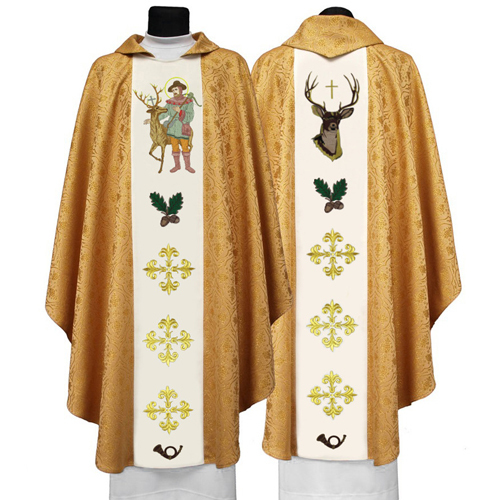 Used during the Liturgy of the Eucharist by deacons, priests and bishops, that clergy vestment resembles a long scarf, made of brocade or plain fabric and decorated with embroidery. 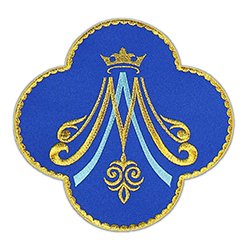 The clothing is not only beautiful, but also resistant and very easy to take care of. 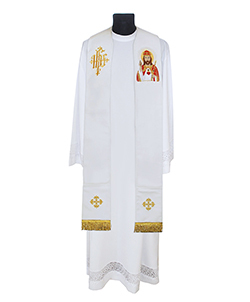 Deacon stoles are also in our offer. 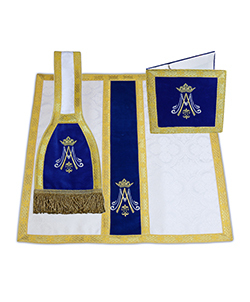 Moreover, you can find some special variations of this accessory at our shop, for instance a vestment with Jerusalem Cross or with The Lamb embroidery. 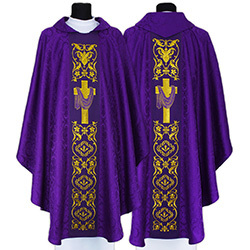 You can also get liturgical stoles with such embroideries as “Our Lady Our Grace”, “Our Lady Our Perpetual Help”, “Year of Mercy”, “Saint Stephen”, “Pope John Paul II”, “Divine Mercy”, “Saint Veronica”, “Guadalupe” and “Saint Catherine”. Do not forget to check our elegant and beautiful wedding stoles. All our garments are created from the best materials. 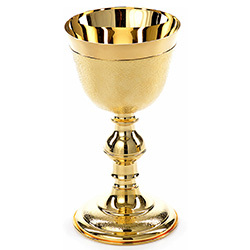 The colours are matched precisely with the colour of the whole item. Some of the models give you an opportunity to choose the colour from white, cream, green, red, golden and many others. A custom embroidered dedication might be the final touch to ordered attire. 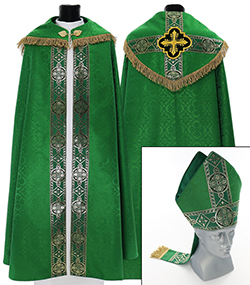 Choose the best products at Ackermann Liturgical Vestments.